EA Alpha 1.5 bugs, comments, suggestions! - Interdimensional Games Inc.
EA Alpha 1.5 bugs, comments, suggestions! We are happy to announce that the infamous “bRegistered” crash has been fixed. This means that the game is now very stable, and all of the Act 1 content should be quite playable in any order. -Incoming and outgoing damage has been changed significantly. -NPC armor damage propagation works differently now so that each successful hit from the player will now visibly reduce health on the health bar. -Tasers will now render non shielded targets unconscious much faster. Shields now take a little longer to tase down (don’t worry, upgrades are coming for the taser to overcome this). -Fully re-tuned the damage type values so that energy damage is superior at shredding and damaging through physical armor, and similarly, physical damage (bullets, shells) can shred through energy shields. Conversely of course, physical protects best against physical, and energy protects best against energy. It was always *sort of* balanced this way, but now it’s much more pronounced to hopefully encourage changing up weapons more. -Re-tuned the NPC Stamina system. Once a combatant has been 75% wounded, the chance of them surrendering soon after is now greatly increased. In addition, their stamina will begin to fall very fast as they succumb to their wounded status, rendering the target unconscious within 5-7 seconds. Encourages shooting combatants down to be very wounded, then disengaging and waiting ‘til they drop unconscious or surrender, then incapacitating them with nanites. [Update] Freefall suit controls and handling polish - fixed up long-standing issue where player would stop in mid-air when disengaging the suit thrusters. Momentum is now properly maintained throughout. Also tuned thrusters to more realistically counter gravity. [Update] Complete rebalancing of Engineering system. Major utility energy cost boosts to upgrades, engineering point requirements. All upgrades now take 5 seconds to complete. [Update] Alvarez’s loudspeaker lines now sound like they come from a loudspeaker. [Update] Park tree and spire layout now properly matches roof tree layout. [Update] Significantly reduced the time it takes for a water hub door to open. Should help prevent non-progression bugs in level streaming, as well as make it less tedious to spend time in the water hub. [Update] Wind now supports falloff curves. Implemented for all underwater fans, simulating water current strength loss with distance and improving gameplay. [Update] Frag grenades removed from rooftop Mercs. [Update] Rocket turrets removed from game entirely - they need more polish, will be re-introduced in Act 2 levels. [Update] HUD: Enemy health/stamina bar now has icons instead of words, easier to read bar levels now. [Update] More recyclables and save spheres added to WaterHub areas. 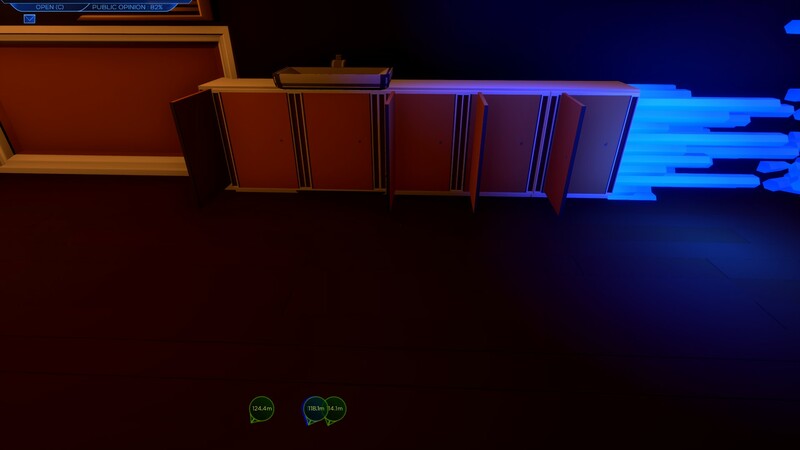 [Update] All previously static placeholder cabinets in the Hotel are now openable. Goodies found within. [Update] If you import a universe from CONSORTIUM, you now start with a lower public opinion if you killed mercs on Zenlil. [Update] Updated the C3800 ending text to reflect what the player can do to avoid the XO-1 ending. [Update] Being shot and killed by Malcolm’s guard now gives a unique end-game death text. [Update] Added a new nanite/recyclable turret trap in the Lobby. 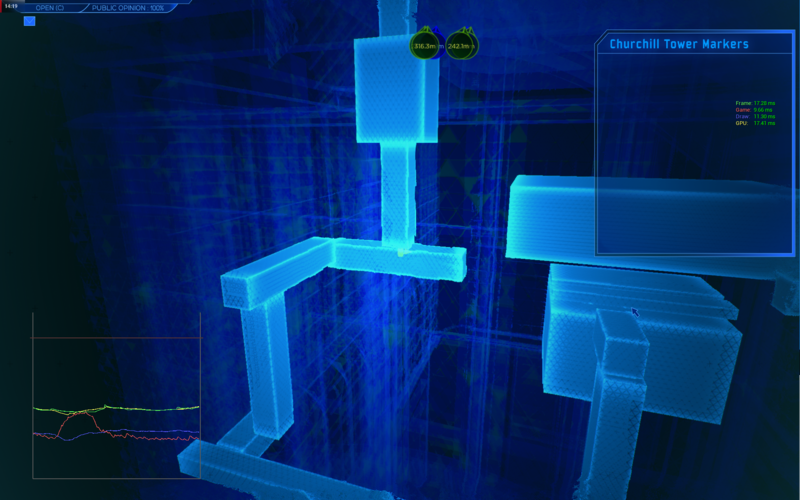 [Update] Made a slight change to how the automap handles the “unknown interference” area - hints at a future art pass where all of the waterhub automap “boxes” will be cylinders, to more easily distinguish underwater areas and normal areas. [Update] Total squad kill / incap dialogue no longer plays if the player has reached a public opinion rating of 0, or is XO-1’d. [Update] New method for determining when the play is or is not at the surface of water. [Update] Fixed up the visibility of two turrets in waterhub1B and added cover spots. [Update] Added a colored wire visually connecting a power switch with a fan in HotelTower3. 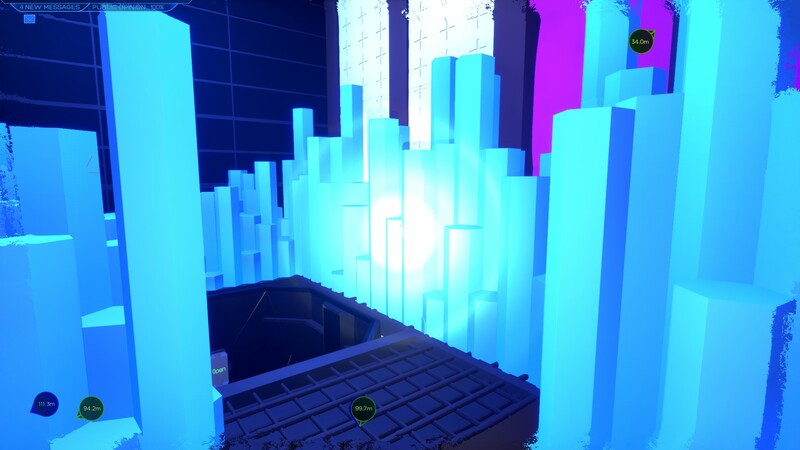 [Fix] Modified level to allow players to get out of the multi-fan water pit in the WaterHub. [Fix] Removed erroneous scene with the Surrogate if the player was XO-1 but had NOT yet met the surrogate via the S.O.S scene. [Fix] Elon will no longer try and make you surrender if you defected from the Consortium. Also fixes for triggering Elon’s conversation. [Fix] Fixed a really nasty bug where the full XO-1 WaterHub combat sequence wouldn't trigger. [Fix] Fix for fans erroneously not spinning in HotelTower3. [Fix] Fix for fans not damaging players sometimes. [Fix] Fix for the wind sometimes erroneously turning off on the roof. [Fix] Fixed up the interaction prompts for closed/locked doors to be consistent and valid. open another door before the last one had closed to unload their current level - ending in falling through the void. [Fix] Fixed vent door that was erroneously set to release end door. [Fix] Fixed a logic oversight where the player would be able to break the Elon equipment mission. [Fix] Fixed “ACHIEVMENT_TRAITOR_CONVO” triggering when it should. [Fix] Various automap labeling and box additions/fixes. [Fix] Park level fixes - misaligned assets, gaps in geo, ledge grab fixes, etc. [Fix] Fixed a logic bug that left the visual effects of the tactical mode on during the XO-1 sequence. [Fix] Tons of badly placed art assets in the WaterHub fixed. 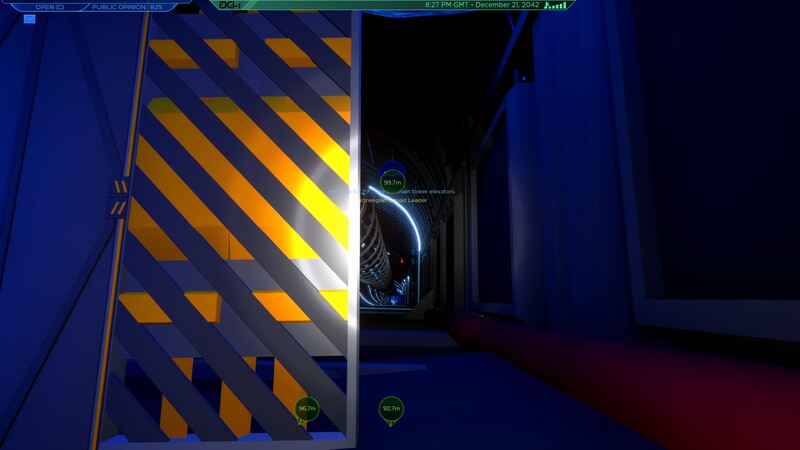 [Fix] Fixed problem logic with save spheres and loading doors that would leave cases where if the player rushed very quickly, they would be able to enter a save sphere and save before levels had properly finished loading in. [Fix] Lobby sublevels no longer erroneously stream in when exploring the top of the Main Tower Elevator shafts. 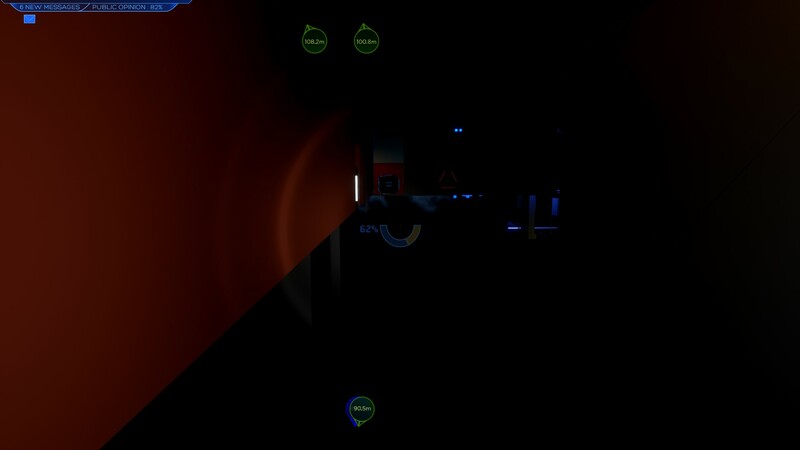 [Fix] Geo gaps in vents and in in other spots fixed. [Fix] Fixed rare bug where releasing the super jump button literally .01 seconds too long would produce a bug of you charging a super jump while not having the button held down. 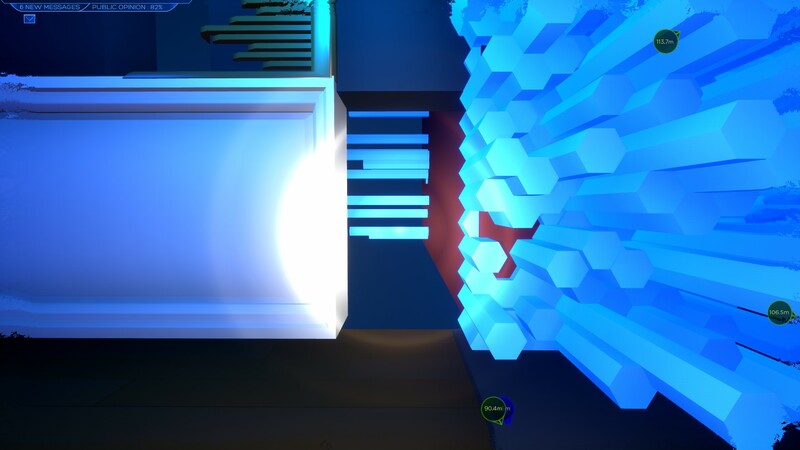 [Fix] Fixed a bug where the electrified water in the TT Core might not be properly shut off if the player had flipped the correct switch in the Water Hub. [Fix] Fixed a bug where the team would comment on the TT Core water being electrified- even if it wasn't anymore. [Fix] Numerous small fixes - water placement issues, asset placement fixes, etc. 1) The moment XO-1 triggered, Bishop 6 threw his gun instead of putting it in the PCU. I believe this happened because the PCU was full of energy so there was no room to put the KAR. He tossed the KAR (literally threw it) instead. 2) I think the previously reported bug about being unable to put any equipped weapon away and said weapon having a blue PCU spawning effect permanently applied to it is also related to having full energy. There's no where to put the rifle in the PCU so it instantly equips it again. 3) Trying to take stuff off of bodies and put it in the PCU doesn't register. Surprisingly, if you disable the PCU, I think they suddenly transfer. I don't really understand it but InfiniteEnergy and transferring shield nodes from body to PCU was involved. I don't know if these bugs are specifically related to having InfiniteEnergy enabled or if the command exposes an legitimate, underlying bugs. 1) After Elon's intro dialog, if you use [Move On] after that, he'll turn hostile and attack. 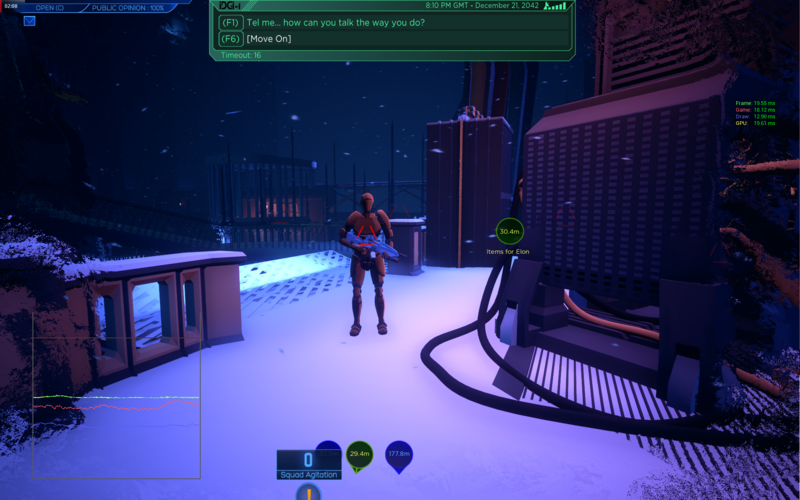 2) If you've been XO-1'd, Voice's first dialog with you, [Move On] will result in normal Consortium ending. There is no "Ok, I accept" in the first choice so it's natural to want to "[Move On]" to the next where the choice is to accept...except it doesn't. Game over. Edit: May be because the roof isn't cleared? Conversation between Voice and Frankie now triggers; however, in the escape, I see subtitles for Famosa but there is no audio. While using the multiboost of the BUS to gain altitude, if you hold the button a tad too long, the boots start charging to super jump. Perhaps, if you boost once, super jump should be disabled until you're on terra firma again. I usually don't carry grenades with me because I don't use them. It used to be that the game would just flash "No Ammo" once. In 1.5 however, it seems to flash it non-stop. Kind of annoying. I went to Water Hub -> Roof -> Water Hub. R9's "diversion switch" dialog triggered erronously a second time on my second pass through the area (only going down in both cases). Platform that raises that went through the floor at the top of TTCore access. Gap too small to walk into. misaligned wall, no automap because I'm a scrub. Conversations still not purging properly. K15: what happened? and PCU alternations sticking around after playing them, though K-15 does accept that the conversation has happened now. Other comments: Subtitles for nanite fragments? weird bug where I went to the park from the fortress of solitude and it just loaded then de-loaded. It's still kinda too easy for a squad member to randomly walk in on you fighting a turret and get spooekd, maybe make the flag so that if you put your gun away and they're not at "shooting you" phase it goes back down? On top of this sometimes they jump up a level seemingly at random. Better feedback and maybe more ways to calm them down by talking to them? To add to the turret thing: is it possible for the AI to figure out if you're targeting the turrets? If it is, and they're a nuisance to all AI, they could have dialog lines that trigger either commenting on the fact that you're attacking them or even thanking you for dealing with them. As long as you're not pointing your gun at the AI and clearly pointing at turrets or empty space, they could like that lowering their agitation. Might be complex to do but food for thought anyway. It was also mentioned that maybe nanite fragment audio files could be replayed via Conversation Manager.